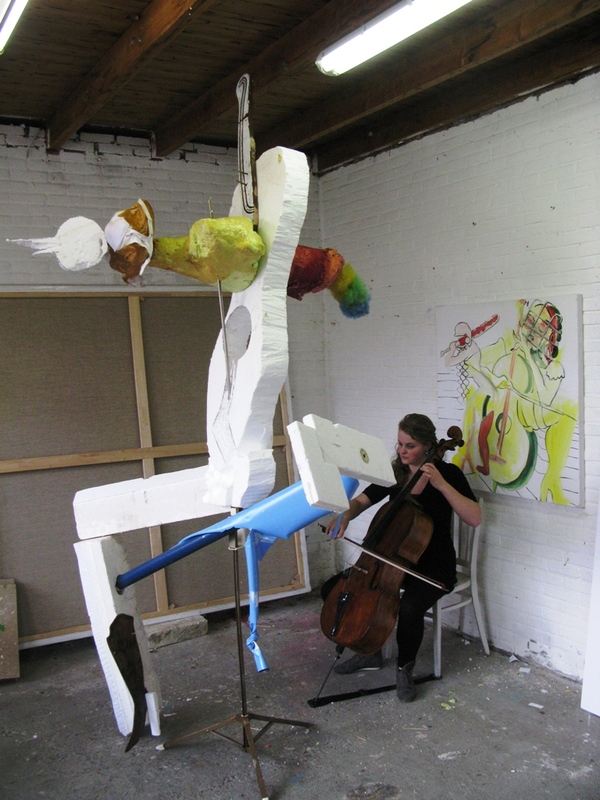 Dana de Vries plays the cello; Elgar, celloconcerto, 4th part. This all for the tv-programm ‘Avond van de jonge musicus’. I responded somehow on the Elgar music and Dana’s performance with this sculpture.